Mike Bibby is an excellent American professional basketball player in the NBA, he has played for such teams as the Atlanta Hawks and Sacramento Kings. 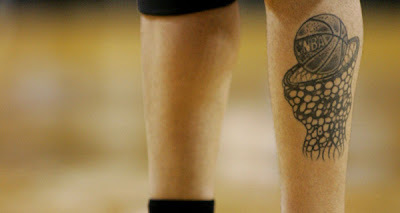 Mike Bibby has many tattoos to speak of, including the phrase "Team Dime" along with "onezero" on his back, plus the portraits of his mother and grandparents. 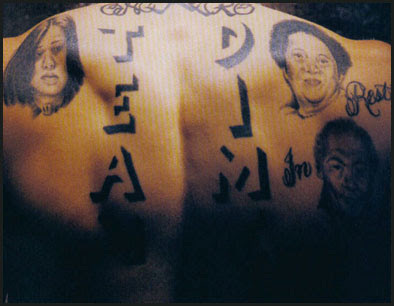 He has numerous tattoos on his hands and wrists including, a "W.W.J.D" bracelet and the word "Faith" on his left hand, plus Psalms 27 and 65. On his right hand and wrist is the name of his wife "Darcy" plus the word "Loyalty" and "Psalms". 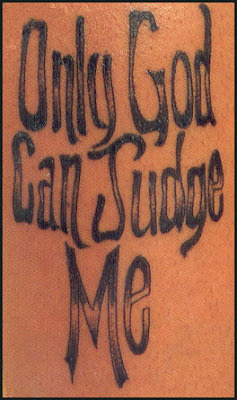 Some of Mike Bibby's other tattoo designs include, a ball and hoop on his leg, a chain-linked cross on his right arm, "Only God Can Judge Me" located on his right calf, plus the first names of all his children.